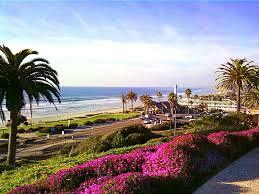 Event Description: A delightful place to explore during a corporate teambuilding event, picturesque Del Mar is that Southern California rarity — a scenic beach town without the hype (or the crowds). Location History: Just 15 minutes north of San Diego, Del Mar is perhaps most known for its famous racetrack, attracting over the years such movie stars as Bing Crosby and Jimmy Durante. During your corporate teambuilding treasure hunt… expect to encounter the giant compass mosaic at the Plaza; the historic photo gallery in Stratford Square; and the well-tended lawns of Powerhouse and Seagrove Parks.